Singapore Red Cross (SRC), and its early childhood education partner Kidz Meadow, jointly launched the Red Cross Junior Club and its holistic curriculum – Project C.A.R.E, marking SRC’s foray into learning programme development for and purposeful engagement of pre-school children on 20 April 2018. Guest-of-Honour Minister K. Shanmugam, Minister for Home Affairs & Law officated the launch, which took place at Our Tampines Hub. 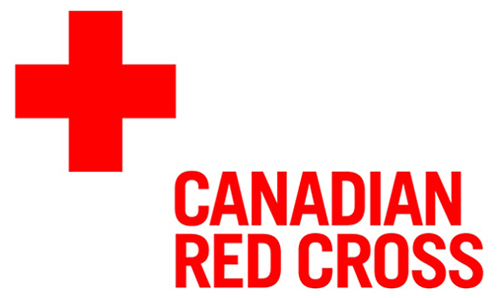 Red Cross Junior offers a two-year activity-based curriculum, Project C.A.R.E; and a service-learning component where Juniors can partake in various volunteering activities and learning journeys. Project C.A.R.E focuses on Care for the Elderly; Care for the Differently Abled; and Care for Safety which centres on first aid. “Red Cross Junior is a natural extension of Red Cross Youth, a 10,000-strong youth movement in Singapore. In an environment of increased security concerns, as well as the aging population that we are faced with, we felt it would be good to imbue even our young ones with the humanitarian spirit at an early age. It is important that we meaningfully engage our young children, and inculcate in them values that we hold precious, and life skills that will give them a good start towards personal and community resilience. 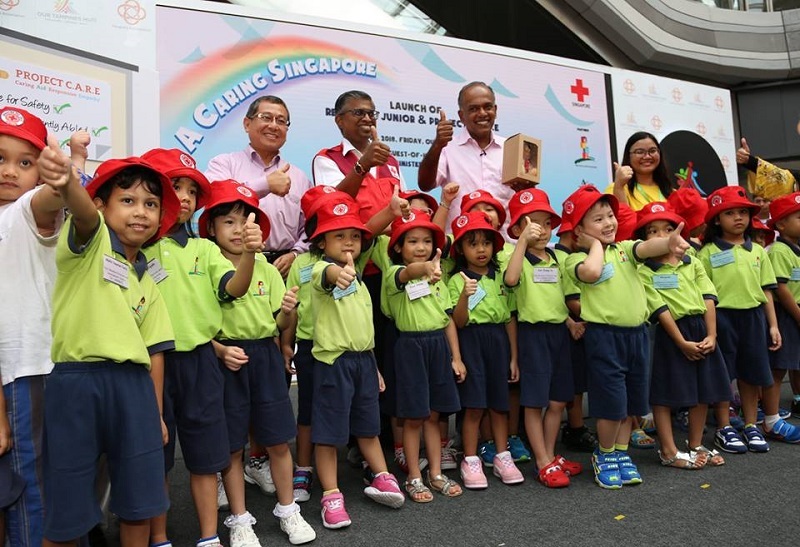 We are very proud of the programme, as it brings together key Red Cross priorities, such as first aid, inclusion and care for vulnerable seniors,” shared Singapore Red Cross Secretary General/CEO Mr Benjamin William. As part of the programme, SRC will provide complimentary first aid training to teachers from all participating pre-schools, under its ‘Train the Trainer’ (TOT) programme. The programme aims to empower teachers with the resources and know-how to conduct first aid related activities for children. 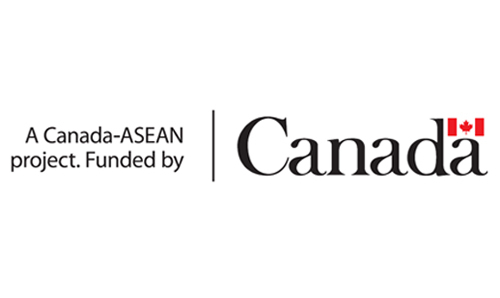 Project C.A.R.E curriculum will be delivered by 100 educators using an Educator’s Guide, a key resource co-created by Kidz Meadow and Singapore Red Cross, with support from the Early Childhood Development Agency (ECDA) and Preschool Market and Association for Early Childhood Educators. “Living in a developed country, most of our children today are raised in an environment filled with privileges and comforts. It has become necessary for us to provide them with an awareness of those less privileged, particularly those who are differently abled as well as the senior citizens. Project C.A.R.E aims to groom children who will grow up as individuals with a strong sense of empathy. As the future generation, they will be the ones who will eventually take care of us and the subsequent generation. Let’s spread kindness to all. It begins with us and our children will follow,” shared Mdm Salhawaty Abdul Ghani, General Manager of MERCU Learning Point that manages Kidz Meadow Childcare & Dev Centre. To date, 60 pre-schools have committed to deliver Red Cross Junior programme to their Kindergarten 1 and 2 students. SRC expects to welcome some 1,200 young ones to the Red Cross Junior Club in the first year, with the enrolment expected to hit 3,000 by 2019.